A former Republican lawmaker who led the charge to repeal Obamacare while in Congress has now come out to say it will not happen. Former House Speaker John Boehner (Ohio) told an Orlando health care conference on Thursday that a full repeal and replace of Obamacare is "not going to happen," Politico reported. "[Congressional Republicans are] going to fix Obamacare–I shouldn't call it repeal-and-replace, because it's not going to happen," Boehner said. Boehner argued that the law will instead be changed in a few ways but the majority of President Obama's health care law will stay intact. "Most of the framework of the Affordable Care Act … that's going to be there," Boehner said. Boehner's comments came a week after President Trump and current House Speaker Paul Ryan (R., Wis.) hinted that a repeal and replace plan could be released in early March. "We're doing Obamacare, we're in the final stages," Trump said. "So, we will be submitting sometime in early March, mid-March." When Boehner was in charge of the House of Representatives, he made numerous commitments about repealing Obamacare and held several votes to repeal all or part of the law. He even sued the Obama administration over the Affordable Care Act. 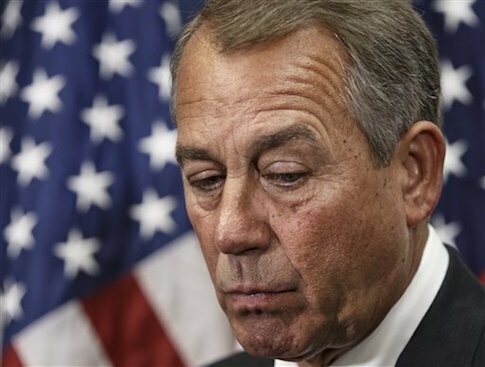 Boehner resigned from Congress in 2015 due to the deep divides in the Republican House Caucus. In his Thursday comments, Boehner laughed and said Republicans never agree on health care. He called Republicans' talk about a quick repeal and replace too optimistic. This entry was posted in Issues and tagged John Boehner, Obamacare. Bookmark the permalink.